Here is my first video using the Tarot 2D gimbal. This is mounted horizontally on the front of my Cinetank Mk2. 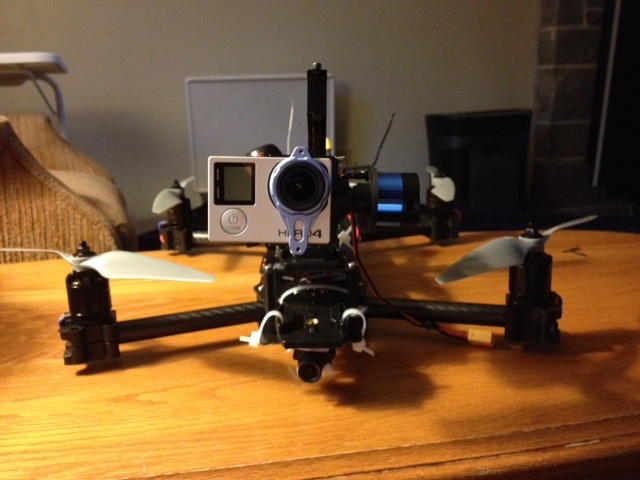 The gimbal is working pretty well so far and really smooths out the video. 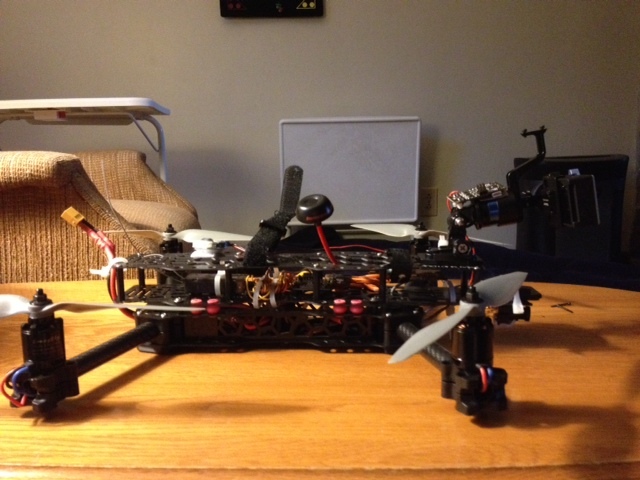 I am running a seperate FPV camera (Fatshark 600TVL) so I can still see the quadcopter tilting, which means I can fly it normally. Enjoy the video below! What camera were you recording with? How did you mount the Tarot horizontally? Any chance you can snap a few pictures of it? Thanks, the camera is the Turnigy version of the SJ5000 action cam. It is availible on HobbyKing, and it a little different dimensions then a GoPro, but I managed to squeeze it into the Tarot mount. 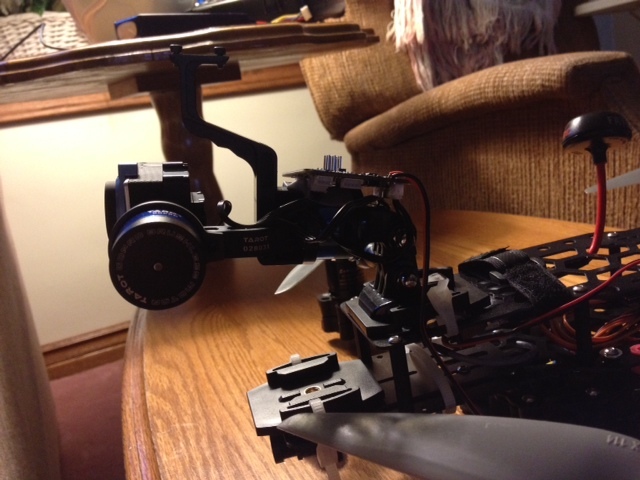 So i attached the whole gimbal assembly using some GoPro mounts that came with the SJ5000 camera kit (its similar to a gopro). 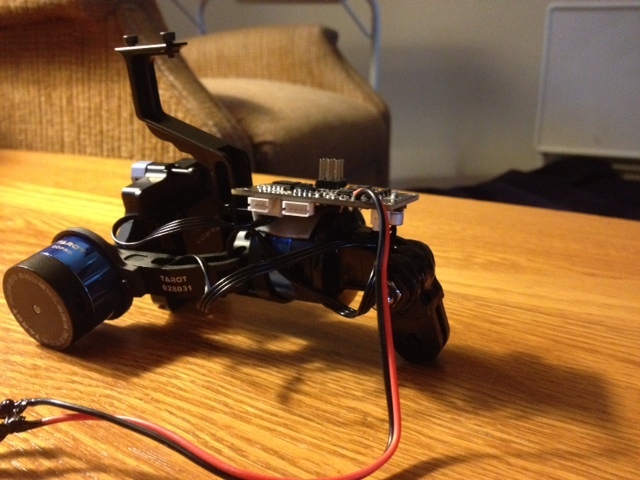 I used 5 minute epoxy to glue it all together and the control board of the gimbal rests on the make motor of the gimbal. I will attach some pictures to clarify. This setup allows quick and easy mounting and dismounting of the gimbal assembly as it attaches to the quad via a standard gopro mount. 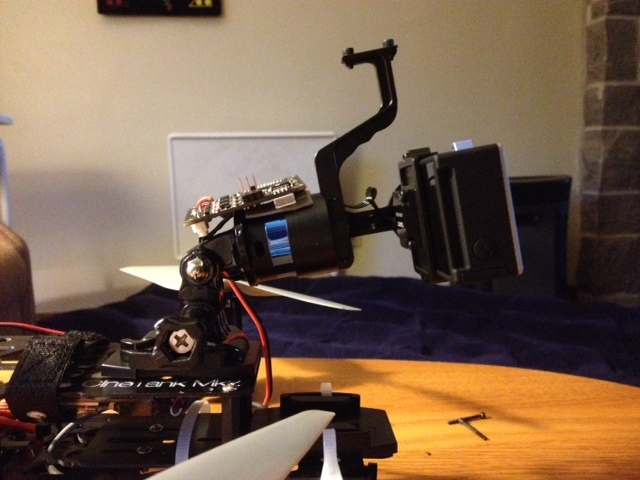 I can attach and detach the gimbal in a few seconds. It looks like head ;-) I like it! Might do the same thing. Yes it works well, just be sure to use good quality glue, you don't want it coming undone.